Une nouvelle interview exclusive de deux ténors de l’électronique, Jesper Dahlbäck & Mark O’Sullivan aka DK7. Respectivement, ils nous font danser au gré de leurs sorties sous de nombreux pseudos et conjointement ils viennent de sortir un album puissant et habité, « Disarmed » s’inspirant aussi bien de la cold wave que de Johnny Cash. Let’s meet Jesper & Mark! 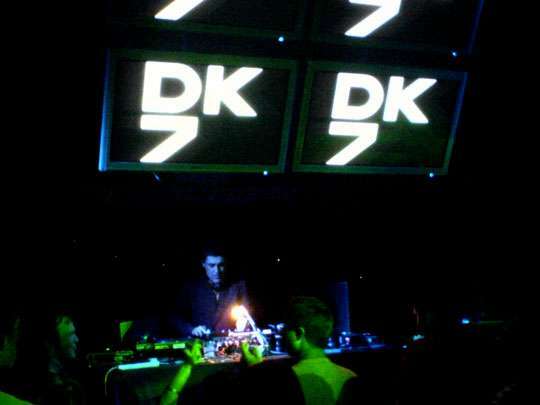 TheClubbing.com: About deux years after The Difference, DK7 is back with a full album which encounters a nice welcome. Could you described this particular project which is not only dancefloor orientated? Mark O’Sullivan: We never decided to record an album with an audience in mind, I’m just not capable of that. We let how we felt at the time dictate the pace and creative process of the recording. Jesper Dahlbäck: It just seemed like it strived towards other sounds no matter how much we tried to make an followup. I think this album is representing much more what we wanted to do in the end. TheClubbing.com: Your LP Disarmed is available worldwide since weeks, what are the main appreciations you got back, from the electro scene and also from the audience? Mark O’Sullivan: Judging by recent live shows it seems that the audience is finding us. Perhaps at first people were not expecting an album like this from DK7. I don’t think anyone expected an album that would require some emotional attachment from the listener. Overall the feedback we have received for the album has been great. Jesper Dahlbäck: It’s good to hear that a lot of different people with different musical backgrounds seems to apreciate our sound. That’s the best review I could get. TheClubbing.com: You talked in the last french magazine Trax about visuals, do you tour with a VJ? Do you think that visuals are now compulsory with electronics? Mark O’Sullivan: Visuals are interesting for us because they are our visuals. We will use them where possible. They are not compulsory but I think that they add to the live experience. Hopefully we will build a band over time. Jesper Dahlbäck: The good thing with visuals is that they are not necessary for the music. They will always add an extra dimension but we could perform in someones livingroom with just a couple of machines and it will still be DK7 live. I like to think that even if I close my eyes the music will be as good anyway! TheClubbing.com: You played at the famous Panik at Elysees Montmartre, did you appreciate this party? Mark O’Sullivan: It was a good party. In a real nice venue. It felt more like a concert which is the way we want to go. I have some friends involved in the dance music scene in France, they are all real nice people. Jesper Dahlbäck: Playing live in front of a crowd is always special. I think the show in Paris went down very well. Despite that I think the french scene seems to be a bit sleepy at the moment but eventually France will come back again to the level of It’s glorious good old days! TheClubbing.com: What about Belgium, any dates planned yet? What are your remembers about this country when you came to DJ? Mark O’Sullivan: We will play in Brussels 28th Jan and Antwerp 3rd Feb. We played 10 Days Off in Gent just after The Difference came out and that was fun. Jesper Dahlbäck: It seems like belgium is also expanding in the electronic scene at the moment. To me it seems like a perfect place to play in a country that has done so much for electronic music. TheClubbing.com: Listening to your album, it appears that there was no better label than Output to spread your sounds as DK7. How did you get in contact with Trevor Jackson and how did he welcome you on the label. He seems to be a great boss label boss according to all the artists of the label. Mark O’Sullivan: Trevor initially licenced The Difference from us and we just took it from there. It was a gradual process and the end result is Disarmed. Jesper Dahlbäck: Trevor has a made Output to what it is today. That deserves all respect. It’s also a great mixture of good music, not only a certain sound or a predictable way of releasing records. TheClubbing.com: Did he let you do your job all by yourself without any pressure? Mark O’Sullivan: We had full creative control. However Trevor did make suggestions with regard to some tracks, how he personally felt. These were just some minor details but it is good to have this as it allows us to stand back. Disarmed was mainly recorded between summer 2004 and April 2005. The album was mastered and delivered then and yes Trevor was very happy especially that we took a few unexpected paths with the album. Jesper Dahlbäck: He can be a good critic as well as hard and sometimes stubborn. That only makes me want to work harder. It was also a long process to find out in wich direction we would go with the album. TheClubbing.com: You’re often compared with Black Strobe which are also on Output. Do you appreciate this comparison? Are you closed from them and their influences and also their conception of live with a band? Mark O’Sullivan: I don’t think that our sound is similar at all. However I do think that Arnaud Rebotini is very talented. Jesper Dahlbäck: Maybe it gave us the idea that recording an album like Disarmed and taking the concept into a band like form came from seeing them on Ouput. It was cool to see that our music fitted well into the label too. TheClubbing.com: You perpetuate the sounds of mythic groups from the cold or new wave, how do you feel when in interviews you’re compared with Joy Division, New Order or Depeche Mode? Mark O’Sullivan: People will always make comparisons. It is the nature of the beast. However this is quite good company to be with. Jesper Dahlbäck: It’s a general rule to be compared with something that has already been done. I don’t think so much about it. The day when somebody comes to me and says that he can hear a lot of inspiration from Carl Craig or Kraftwerk. I will be happy! TheClubbing.com: Do you think that the evolution of electronic technologies permits you to continue their works where they let it twenty years ago, the story of cold and new wave was not over? Mark O’Sullivan: Haven’t thought of it that way. For me there is as much Johnny Cash, My Bloody Valentine, Lee Scratch Perry in Disarmed as there is New wave. Jesper Dahlbäck: How about the sound of the 90’s? TheClubbing.com: How do you explain this come back of 80’s electro sounds and also the possibility now for DJ to mix everything. The rock scene ant the electro scene gets closer, did you imagine that this crossover will go as far as now? On stage, for DK7 you have this two scenes in your audiences, what are your feelings about these? Mark O’Sullivan: Revivals are journalists, media ands record companies manipulations just to sell stuff. I would hope that DK7 would make a connection with whatever type of audience is there. In Paris recently we could see that the divide was closing between the audience. People are discovering us and we just want to try and build a connection with them live. Jesper Dahlbäck: It’s a nice thought that people would just go to a rocking party with lots of good music that could be new or old, rock or techno. TheClubbing.com: Mark what about The Mighty Quarks and King Syndrome Sounds? Mark O’Sullivan: I recently released a Mighty Quark 12 inch on my own ORK Recordings label and just did a The Mighty Quarks release with Huggotron on UK label Jackit. The third Mighty Quark album is finished but I will have to hold that back for a while as I am very busy with the DK7 album. TheClubbing.com: You both work with John Dahlback who is for me the great hope for the fortcoming year 2006. Tell us more about him. Do you work on his album Man From The Fall? Mark O’Sullivan: No but we have a project called Mark & John that we have released on Audiomatique and Pickadoll. 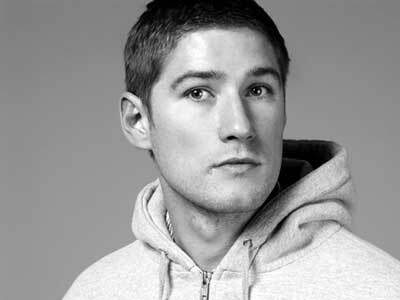 Jesper Dahlbäck: He is my productive cousin and we also run the Dahlbäck Recordings label together. TheClubbing.com: I’m really impressed by Pickadoll label, in few EP you Mark & John gave us dancefloor killers? What’s the goal of this label, what could we expect from it? Mark O’Sullivan: I don’t know what the goal of the label is but it is a lot of fun. I really enjoy the Mark & John project and we are getting great reactions for it. Jesper, as John, you propose new stuff really regularly under your own name, other names and lots of different labels, why did you choose this workstyle? Jesper Dahlbäck: I have always worked under different pseudonyms because I like to make a lot of different kind of music styles. Sometimes it’s fun to make a secret project and see what happens. TheClubbing.com: You also work with the famous Tiga who will released his long awaited LP Sexor soon. How do you work together and produced such massive hits? Jesper Dahlbäck: It has been a long friendship now, stretching back to ’97. We have the same twisted humour and same kind of musical background and we live allmost on the same longitude so it was natural. Sexor has been produced partly by myself and also Soulwax and Jori Hulkkonen. TheClubbing.com: Lots of artists emereged from Sweden in the 90’s as Cari Lekebush, Adam Beyer or Joell Mull, Thomas Krome, you worked with all these people, are you a big family trying to work alltogether? What about the swedish scene nowadays? Jesper Dahlbäck: Well basicaly we are a big family and we know eachother. One good thing about working out of sweden is that there is a small tight scene with no bad feelings around.We have been helping eachother and also spending a lot of time together. TheClubbing.com: One man sems really important in the explosion of Sweden: Glenn Wilson. Could you present him in few words for those who don’t know this man. 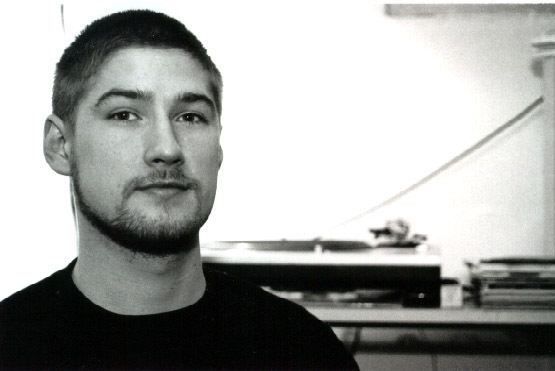 Jesper Dahlbäck: He was the one to first open a real techno label in Stockholm around ’95. At that time there was not much else going on and he was the driving force for a lot of the early techno labels i n Sweden. TheClubbing.com: Mark, why did you choose to move from Ireland to Stockholm? Regarding to all these years in this country how do you feel now? Mark O’Sullivan: I came here on a holiday and my asthma disappeared. Probably a coincidence but I just took it as an omen. I like Stockholm. It is very relaxed and beautiful. It gives me the space to work in peace and of course in my opinion some of the worlds best electronic producers are here and I have been lucky enough to work with many of them. TheClubbing.com: This scene was much more techno orientated, now lots of them as Adam Beyer go to Minimal, how do you explain that Minimal is becoming such a strong part of music in the last two years? Jesper Dahlbäck: I think ín general the electronic scene has gone in bigger and wider circles the last years and it seems it’s coming back to become the big melting pot of different sounds as it used to be ten years ago. Now hopefully we don’t have to put a name to the music for a while, it will speak for it self. TheClubbing.com: Do you think that the audience and the consumers have been educated since the beggining of the 90’s by techno monsters and are now mature for slower and mental electronic sounds? Mark O’Sullivan: Music goes in phases. People consume a certain style for a while and then move on and look for something a bit different or maybe some of them just read too many magazines. Jesper Dahlbäck: Also, a lot of young people have been brought up with this music as it would be obvious it’s always been there. When I was young I ate everything I could get my hands on but today there is a big and interresting history of electronic music. TheClubbing.com: What are your favorite venues and the craziests? Mark O’Sullivan: Cork City Ireland, Ostgut Berlin. Jesper Dahlbäck: There are a lot of crazy places but mostly where you expect the least. In Stockholm of every place on earth at the moment is the best place for me to play. It’s like the old days! TheClubbing.com: New talents come from North Europe as Thomas Anderson, Lindstrom, Trentemoller, is genius linked to cold weather? Mark O’Sullivan: Maybe it is the lack of light? Jesper Dahlbäck: I think it follows a path of attention where at the moment scandinavia seems to be a lot in focus. Next year the focus goes to east europe! TheClubbing.com: What could we expect from both of you in the forthcoming month? A new album as DK7? Mark O’Sullivan: There are new ideas in process but first we have a new single out in February and a tour. Jesper Dahlbäck: Just relax and wait for santa. Then maybe pick up music again next year. Vous rêvez d’être édité chez Defected et remixé par The Shapeshifters?